Amazon is a unique and ever-changing marketplace. While every seller is familiar with the Buy Box, few have a nuanced understanding of it. So we'll tell you 2-3 things you, as a professional Amazon seller, most probably didn't know about the Buy Box. Especially if you're a PL seller or intend to sell PL products, you'll discover unexpected things for you. In the jungle of Amazon sales, there are numerous product options but sometimes also numerous sellers for each product. When there are numerous sellers, they complete in an algorithmic Olympics called the Buy Box, with the ultimate prize being the ‘seller of choice,’ for the product on Amazon. Even Private Label sellers must compete, against themselves, by remaining Buy Box eligible. The Buy Box is complicated, scary, and ever-important, but luckily, despite its opacity, there are some things we'll make clear today. What the heck is the Buy Box? Metrics conversion - what goes into the Amazon Buy Box Algorithm? With dozens of sellers, the buyer could become overwhelmed if they had to look through and choose between each of them. Most buyers, after viewing a product page and deciding to make the purchase, just want to buy at the price shown, which is the Buy Box price. They simply click “add to cart” and proceed. To keep this process simple, Amazon simply awards this primary seller right to their seller of choice. This can rotate between sellers throughout the day, week, or month, and is controlled algorithmically from Amazon’s end. Amazon use performance-based criteria to determine your Buy Box eligibility and placement status, so it's crucial to focus on your Amazon seller account reputation to drive peak performance for your store. The Amazon Buy Box itself is a bit of a black box algorithm. Sellers only see definitively what goes into it, a variety of different Amazon sellers, and then see what comes out, a single seller that gets priority to sell, and this seller sometimes rotates between different options. There is no definitive calculation given to show exactly how they make this determination, but there are some suggestions given by Amazon directly. Key factors, unsurprisingly, are price, shipping method, inventory, and customer service. While there is no official formula, there is anecdotal evidence about how this works. Pricing will be the most important. If a price is non-competitive, it will fail to win the Buy Box, even for a listing with only one seller! This reflects Amazon’s commitment to being price competitive for each and every item. Typically, this is done on an ASIN by ASIN basis, where they compare the current price to the average selling prices of the previous week, month, and year. A substantial increase will be ineligible for the Buy Box. Assuming a competitive price, the next factor seems to be shipping method. Items that are shipped and sold by Amazon itself appear to get an edge amongst all items. items with additional shipping charges. This order assumes all prices are competitive. For example, an FBA item that is only $0.15 more than a similar merchant fulfilled item may still win the buy box, while an FBA item that is $50 more will likely not win the buy box. Seller feedback also plays an important role. Winning the Buy Box for new sellers can be hard, or even impossible since Buy Box eligibility is not gained immediately in some categories. For established accounts, maintaining a seller account in good standing is important on Amazon, and is thus reflected in the Buy Box. Too many negative feedbacks, or a low feedback rate, will hurt your chances of winning the Buy Box. Paying attention to the feedback is already an important step for any seller, though the Buy Box adds one more reason to be vigilant about this area of your selling life. Finally, the inventory metrics. This is a new addition, as they have only recently been showing an Inventory Score for Amazon sellers. This inventory score directly affects your storage eligibility, and seems to affect the Buy Box, but not as strongly as the other items mentioned above. This more likely plays out when you are running low on inventory. If Amazon notices a product frequently sells in quantities greater than three, and you are down to two pieces of an item, they may award the Buy Box to another seller if there is another seller with good metrics and comparable pricing. Length of time on Amazon – your time and experience as a seller on Amazon are really important. Select ‘Show when available’ from the drop-down menu. If the seller is eligible, in the column Buy Box-eligible you should see “yes”. What further confuses things is the rotational aspect of the Buy Box. Owning the Buy Box today, does not guarantee you will get it tomorrow. It changes hour by hour. It can sometimes change by location! Some have speculated that Amazon will award the Buy Box occasionally based on the location of the FBA warehouse of the Amazon sellers. For instance, if one seller has his FBA items at 10 locations, all located west of the Mississippi, Amazon may instead award this seller the Buy Box only for West Coast buyers. If there are many sellers with the same parameters, they have to split the time when they have the Buy Box, a procedure called Buy Box rotation. Otherwise, a high performing seller can have 70% of the buy box, an average seller can have 25%, and a lower performing seller around 5%. Having this in mind, we observe that, in the end, it is not about winning or losing the Buy Box but about which seller has a lesser or greater % share of the Buy Box. There is no point of knowing the exact moment when my products are out of the buy box. As mentioned earlier the rotation may occur hour by hour. It's more important to know, for instance, your daily percentage share and how it changes day by day (Bindwise alerts can help you with that 😉). Regarding the rotation, there is a false assumption that if a seller’s price is within 2% of the current Buy Box winner, the seller is guaranteed to win the Buy Box, at least a certain percentage of the time. It can be very frustrating for sellers to see this rotate, or lose it suddenly. Repricing programs are integrated into Buy Box software and Buy Box programs and play a big role in this. Many sellers use automatic pricing on Amazon, creating a fast race to the bottom on prices (you feel our attitude to repricers, right?). If one is not careful, they can price themselves into a loss. Pricing strategy is a topic for another day, but one must certainly be price conscious when dealing with the Buy Box! Although the vast majority of retail purchases still happen in-store, mobile's influence over these purchases is rapidly growing. Amazon reported that during the 2016 holiday period, 72% of their customers worldwide shopped via mobile, purchasing at extremely high frequencies. In mobile, the Buy Box takes on heightened importance. That’s because, unlike on a desktop or laptop, the mobile site features the Buy Box directly under the product image. Note that there is no “Other Sellers on Amazon” box displayed on the mobile Amazon site. Only the name of the Buy Box winner is displayed. If you care about reaching mobile shoppers, that’s another reason to prioritize winning the Buy Box. How to win mobile moments? Be there and be useful. Resurface promotions, deals, and coupons. Buyer decision-making online is sometimes all about price, deals, and coupons. If shoppers have to hunt for promotions, deals, or coupon codes, they may abandon your mobile Amazon listing to search for them, leaving no clear path back to return to their shopping experience. Avoid losing shoppers who have yet to make a purchase by providing promotions, deals, and coupons immediately at checkout. Those that are private label selling on Amazon may think that none of this information applies to them. Surprisingly, this is not the case. Aside from winning the Buy Box, there is also something called Buy Box eligibility. Buy Box eligibility is more straightforward than the winning algorithm. Eligibility is based on price, seller history in the category, and seller feedback (by the way, if you want to be notified automatically the moment your products lose the eligibility, we can help you with that). When selling in a new category, a seller may have to wait days or weeks to be eligible for the Buy Box. Similarly, if a product is priced higher than most other competitors, or the Seller has poor reviews, the product may simply not have a buy box. So in this way, PL sellers must reach certain standards to maintain this Buy Box eligibility, even if they are not competing for the Buy Box with other sellers. More importantly, the Buy Box will factor in for other sellers because of Hijackers! Other sellers can sell on a private listing, though often they are doing this fraudulently. Unless you distribute your product through other methods, you can feel confident that another seller at a similar price is counterfeit. Often times, these sellers will not have the Buy Box, due to an exorbitant price Other times, they will have the Buy Box because they are selling a cheap counterfeit product at a lower price. Even worse, sometimes new sellers will pop up and plan on directly scamming the end consumer. For the hijacker situation, Bindwise in uniquely situated to help with this. Bindwise solution will alert you when you have hijackers on your listing. Once you know about the hijacker, then you can go about dealing with them. These hijackers can steal the buy box and then lead to a flood of reviews based on a fraudulent product. Use these alerts to help prevent hijackers from staying on your listing, though in the long term you will want to look into Brand Registry, Trademarking, and other longer-term options to deal with hijackers. For wholesalers, the Buy Box will be a crucial part of the daily struggle on Amazon. They are likely already familiar with the ins and outs of the Buy Box, but it is worth reiterating a couple of important points. For wholesalers, it is important you have a strong relationship with your supplier, and also that you get competitive pricing, and that the MAP is followed. Being involved with a loose supply chain from a manufacturer can mean Amazon sellers that undercut one another, and, worse, possibly competing against distributors or manufacturers directly. For wholesalers that do work with a quality distributor, you will be competing with others selling at a similar price. This means the Buy Box will likely rotate fairly equally, but your shipping metrics and customer feedback can give you an edge. Staying on top of the feedback customers give to your store, and fulfilling products through Amazon when possible, will keep you winning the Buy Box more than your fair share. Many sellers ask if it is possible to beat Amazon because it is always the winner of the Buy Box. Regarding this, you have to know that the Buy Box treats Amazon as a seller with perfect customer experience metrics. In case that you have similar metrics or a very low Landed Price, you will often share the Buy Box with Amazon or even beat it, if the price is low enough. This is why, in addition to the Amazon sales rank, it is important to pay attention to if you are competing against Amazon. If no seller qualifies for the Buy Box, it will show a “See all buying options” button and the buyer will be taken to the Offer Listing page. This happens when no seller meets the requirements or when the price is considered too high compared with the List price. In addition to the Buy Box helping determine who gets to sell a product, it has other effects on a seller’s abilities. There are numerous things a customer can do to increase sales, as covered in previous articles. These include lightning deals, coupons, ad campaigns, and more. Almost all of these options are available only to sellers with buy box eligibility, and some of them are only available to sellers that currently own the buy box. This is added fuel to get and keep the buy box, and continue to use Bindwise to monitor your listing for hijackers. Maintaining your Buy Box eligibility and keeping the Buy Box will be vital to seller success, both for individual products and for long term viability. The Buy Box can be intimidating, confusing, and perplexing for every seller on Amazon. Luckily, it can be understood, at least at its basics, and conquered. 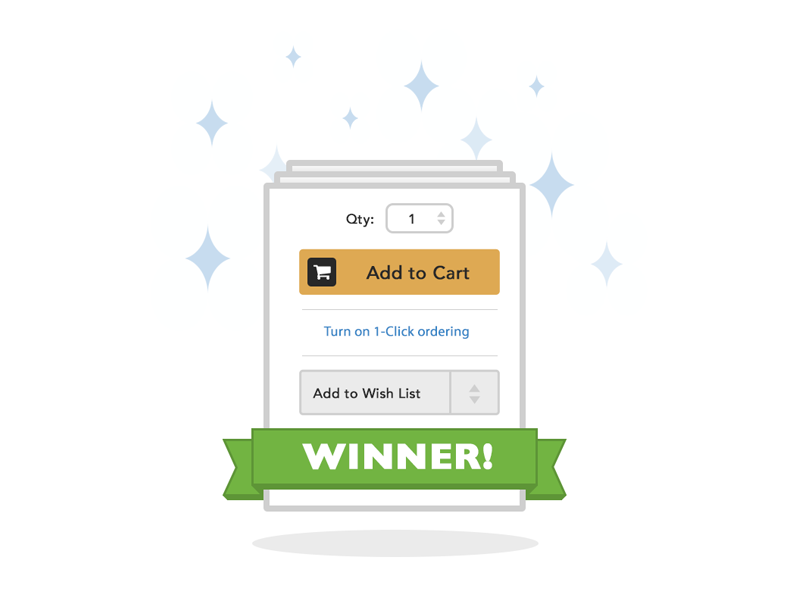 By selling products at fair and competitive prices, keeping good seller feedback and proper inventory management, and by shipping effectively, you can remain eligible for the buy box and keep winning it! Combine this with hijacker monitoring from Bindwise and you’ll be staying on top of the Buy Box, and running a successful Amazon business, for years to come!